SEOUL/PANMUN STATION, Dec. 26 (Joint Press Corps-Yonhap) -- A senior North Korean official called on the two Koreas on Wednesday to go their own way without being swayed by outside influence in pushing for an ambitious inter-Korean project to modernize and reconnect railways and roads over their border. 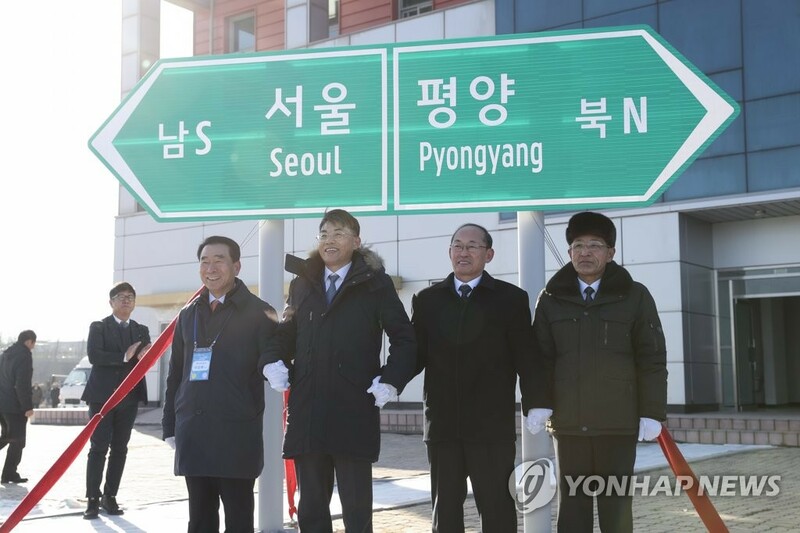 Kim Yun-hyok, the North's vice railway minister, made the remarks at the project's groundbreaking ceremony that the two Koreas jointly staged at Panmun Station in the North's border town of Kaesong. "Whether to make an achievement in the North-South railway and road project depends on our people's determination and willingness. Our people's burning hope for reunification cannot be realized ever as long as we mind how others think and hesitate," Kim said. "The enormous momentum of the railway and road project stays within our people and how fast it will go also depends on our people's determination and timetable," he added. 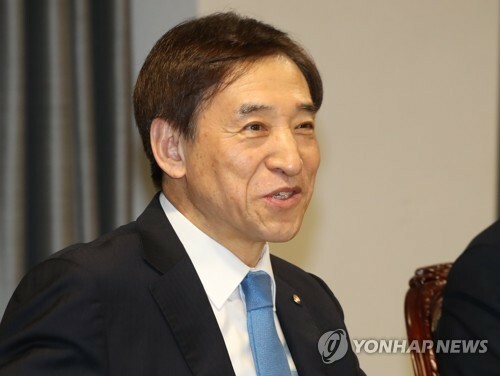 South Korean Transport Minister Kim Hyun-mee said in a speech that the groundbreaking ceremony is just the beginning of what will be a wide range of cross-border exchanges and cooperation. 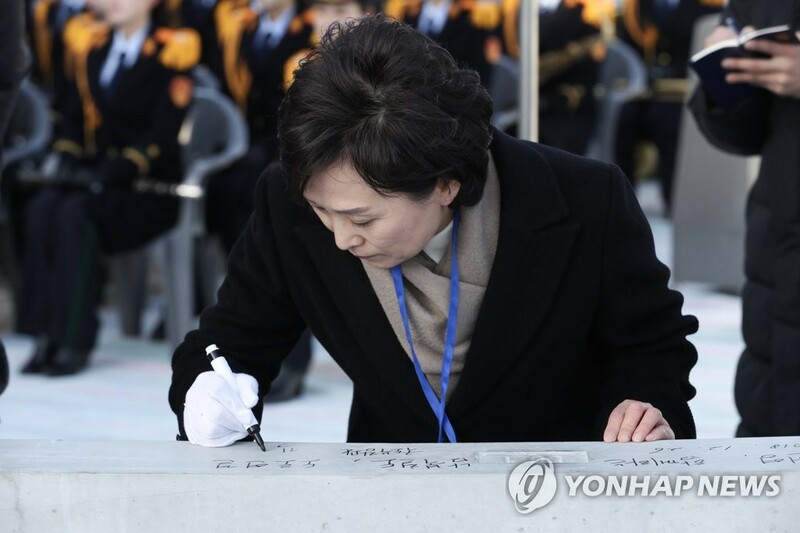 "Today, the railway from Seoul to Kaesong widely opened," she said. "We have taken another step forward, opening the door that had been firmly closed for nearly 70 years." "We know that connecting railways and roads is not just a matter of physical linking. Through the connected rails and roads, people will come and go, bolstering exchanges and cooperation in culture, sports, tourism, forestry, health and various other areas," she added. 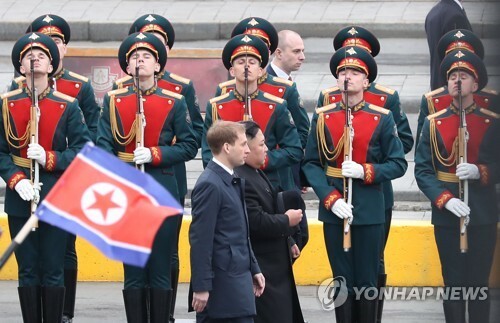 Attending the ceremony were high-ranking officials from the two Koreas, neighboring countries and a global organization, including Armida Alisjahbana, executive secretary of the U.N. Economic and Social Commission for Asia and the Pacific. A unification ministry official here said that her attendance reflects the fact that the Korean Peninsula issues are not confined to Asia, as they require global cooperation on matters related to denuclearization and sanctions. 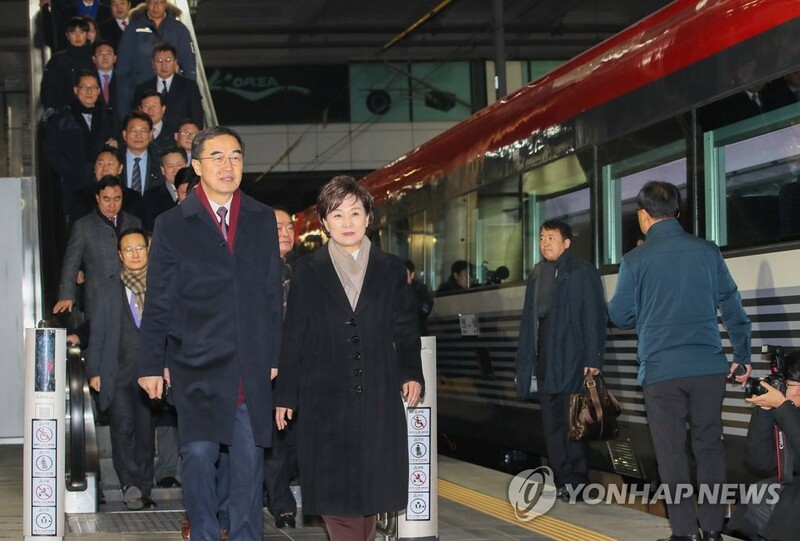 Earlier in the day, about 100 South Koreans traveled by train across the border to the North's station, including Transport Minister Kim, Unification Minister Cho Myoung-gyon, parliamentary leaders and other officials. 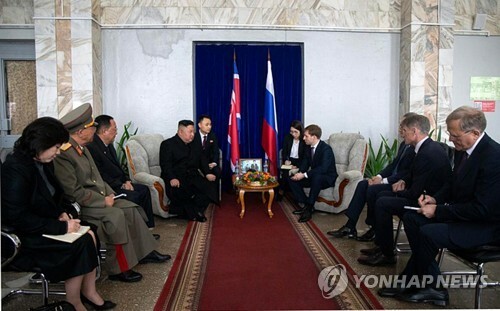 Neighboring countries also sent representatives to the event, with many expressing their support for the inter-Korean project and hoping that it could someday lead to the establishment of a transportation route that goes beyond the Korean Peninsula. 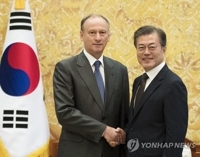 Vladimir Tokarev, Russia's vice transport minister, and Mongolian Transport Minister Sodbaatar Yangug voiced their support for building the so-called East Asian railway community, a project President Moon Jae-in proposed in August to link infrastructure routes across Asia for regional co-prosperity, according to pool reports. 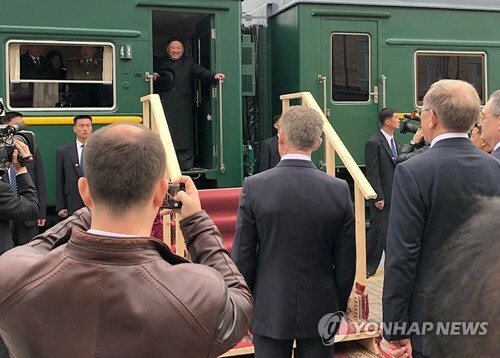 While riding in a train to the North's station for the ceremony earlier in the day, Chinese Ambassador to South Korea Qiu Guohong expressed hope for connecting an inter-Korean railway to China, saying he looks forward to traveling from Seoul to Beijing by train. Qiu made a similar remark when he met with North Korean officials, saying that China's high-speed rail runs to the eastern city of Dandong on the border with North Korea and that he hopes the rail will be extended to Pyongyang. 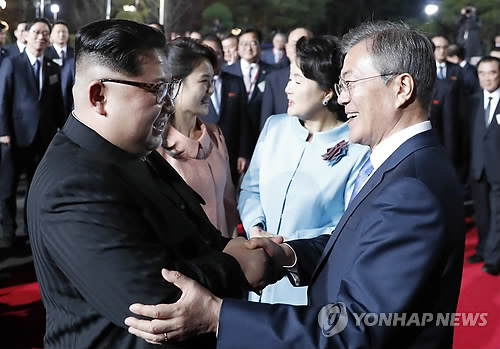 The groundbreaking ceremony came after the Koreas' leaders agreed in April to modernize and connect the roads and railways across their border, a project aimed at fostering balanced development and co-prosperity on the Korean Peninsula. In their September summit, the leaders promised to hold a groundbreaking ceremony before the year's end. They recently carried out an 18-day inspection of the railways in western and eastern North Korea after the U.N. granted a sanctions waiver. 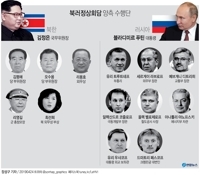 The groundbreaking ceremony, however, was a symbolic launch of the road and railway project, not an actual start of construction, considering the ongoing denuclearization talks and existing multilayered sanctions on North Korea. 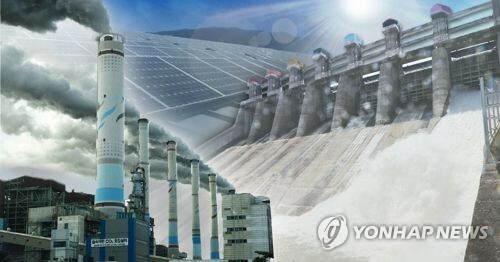 "The government will carry out additional, in-depth (on-site) inspections, draw up blueprints and designs going forward following the ceremony," the unification ministry earlier said. 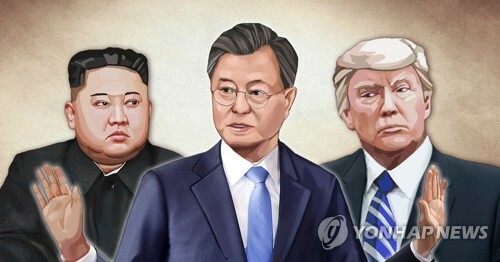 "The actual construction will be pursued in line with situations related to the North's denuclearization and global sanctions against North Korea," it added. 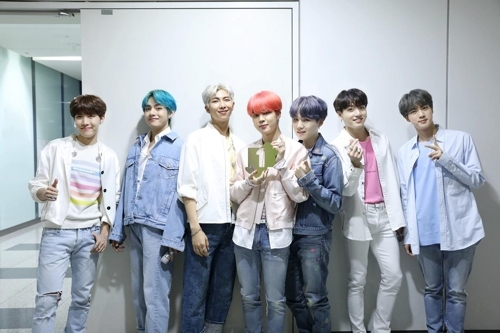 The North's railway and road systems are known to be so decrepit that experts say they would require major maintenance or even replacement to connect them to those in South Korea. Any move to invest in North Korea for such infrastructure overhaul requires the easing or lifting of multilayered sanctions on it, which is closely related to how much progress will be made in denuclearization talks between Washington and Pyongyang. 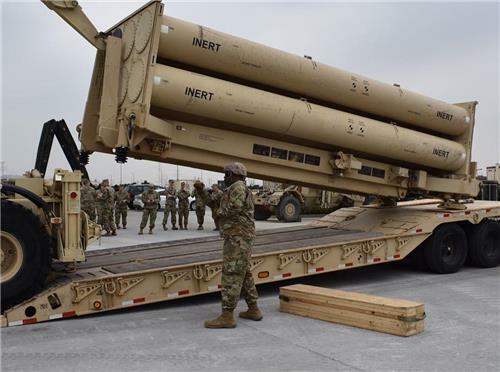 Nuclear talks between the two countries have been stalemated since their historic summit in June, at which their leaders agreed to work toward complete denuclearization of the Korean Peninsula. 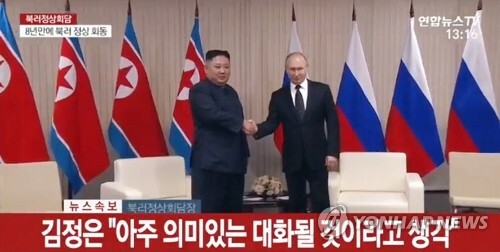 The impasse has been prolonged as Pyongyang wants sanctions relief for denuclearization steps it has taken since the June summit, while Washington calls for more concrete actions before making major concessions.